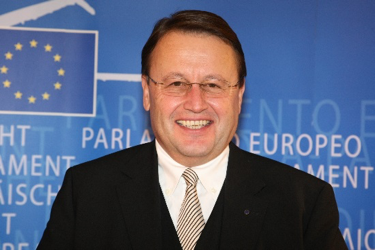 Dr. Paul Ruebig, born in Wels (Upper Austria), has been member of the European Parliament since 1996 and belongs to the European People's Party (EPP). He is married and has two children. Paul Ruebig is full member of the Committee on Industry, Research and Energy and the Committee on Budgets. In addition, he is substitute member of the Committee on Development and in the Committee on International Trade. Furthermore Paul Rübig is member and Vice-Chair of the Delegation for Relations with the Korean Peninsula and substitute member of the Delegation for relations with Switzerland, Norway and the EU-Iceland and the European Economic Area Joint Parliamentary Committee. Paul Ruebig is very active in the field of the small-scale business promotion. He is president of SME Global, a working group of the International Democrat Union (IDU), whose objective it is to support small and medium-sized enterprises (SME) and to improve their business environment. Since 2014, he has been the Chairman of STOA (Scientific Technology Options Assessment), an official body of the European Parliament that is supported by external experts such as universities, scientists or research institutes. Furthermore, he is Co-Chairman of the WTO Steering Committee in the European Parliament, as well as of the WTO Parliamentary Assembly.